Make a P.L.A.Y. Date with P.L.A.Y. Space Consulting, where we come to your site to share our experience, knowledge, and philosophy for a new way of being with children in the classroom. We’ll help you think outside the box about your classroom environment. We’ll customize a design plan for your space. 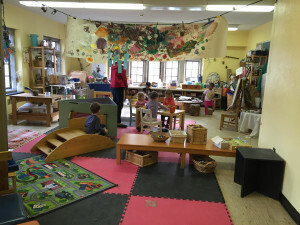 We’ll assist you in creating a Reggio-inspired Project P.L.A.Y. Space for your classroom. Developing Genuine Relationships Through the Art of Play, our workshop for educators, is available for your professional development needs and conferences. Ready to set up an on-site visit and consultation or book us for a workshop? Email us!